The Brian Schottenheimer era is officially over for Georgia. In a report from Dawg Post, Schottenheimer has informed his players he will not coach in the upcoming TaxSlayer Bowl game against Penn State. This comes just two days after Georgia announced Jim Chaney as the offensive coordinator and quarterbacks coach for the 2016 season. 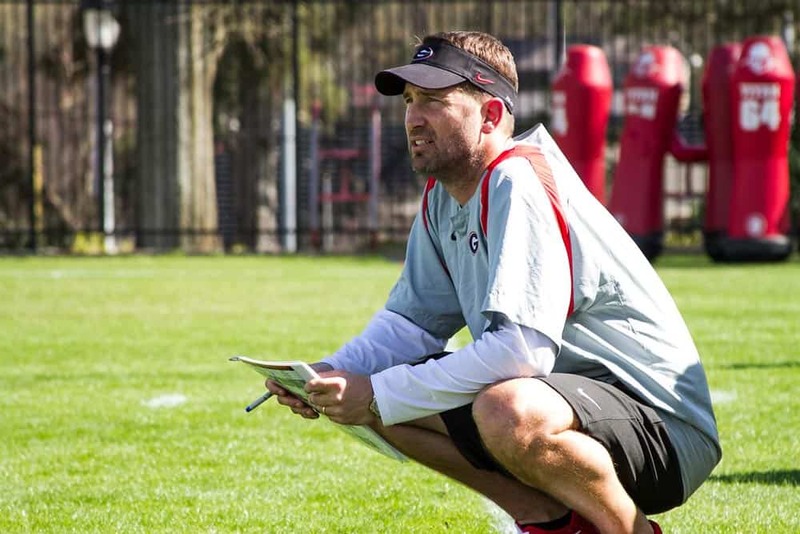 Brian Schottenheimer has informed players he will not coach UGA in the TaxSlayer Bowl. Schottenheimer was not the answer for Georgia after the departure of Mike Bobo, as the offensive production was abysmal at times. Schottenheimer ran a college offense with too much of an NFL mindset which was unsuccessful. It was evident a change was coming, and that he wouldn’t be retained by Kirby Smart. It is uncertain who the Bulldogs will have calling plays for the bowl game. Some possibilities include tight ends coach John Lily or interim head coach Bryan McClendon. A lot of this is up in the air to finish out the season, therefore it will be interesting to see how the team performs after the numerous coaching departures and changes. Last year after the departure of Mike Bobo, John Lilly called the plays in Georgia’s 37-14 win over Louisville in the Belk Bowl.